Well, we’ve been keeping busy in this first month of school by focusing on hand and power tools, wood theory and mechanics. 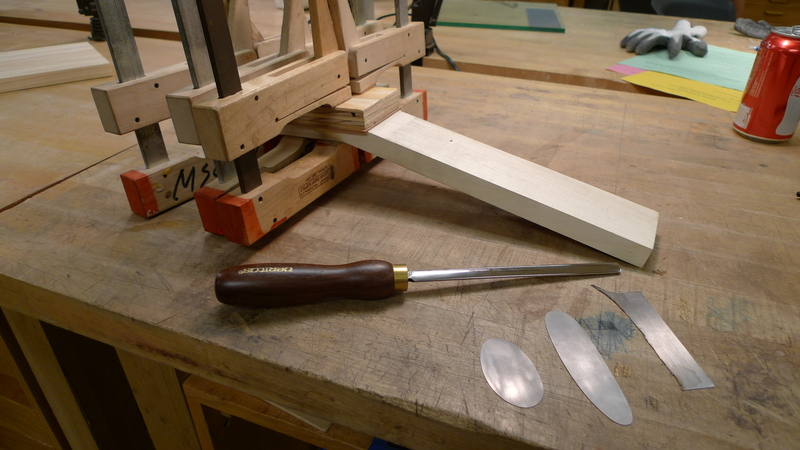 We’ve recently made our own curved cabinet scrapers, with perform like excellent little curved-bottom handplanes. We’ve also continued on our scarf-jointed neck mockup by adding a mahogany headcap veneer. We’ve also been prepping stock for a myriad of new projects. Before too long, I expect our projects will be very useful tools and neat to look at as well.